Chinese miners have managed to extract 'combustible ice' from the seafloor of the South China Sea, according to the Ministry of Land and Resources. The successful collection of the frozen fuel was "a major breakthrough that may lead to a global energy revolution," said China's Minister of Land and Resources, Jiang Daming. 'Flammable Ice' is methane hydrates with molecules of methane gas trapped in a lattice of ice crystals. It can exist only in conditions of very low temperatures and high pressure. One cubic meter of combustible ice is equal to 164 cubic meters of natural gas, according to the US Energy Information Agency. “It looks like ice crystals, but if you zoom into a molecular level, you see the methane molecules are caged in by the water molecules,” said Associate Professor Praveen Linga from the Department of Chemical and Biomolecular Engineering at the National University of Singapore, as quoted by BBC. 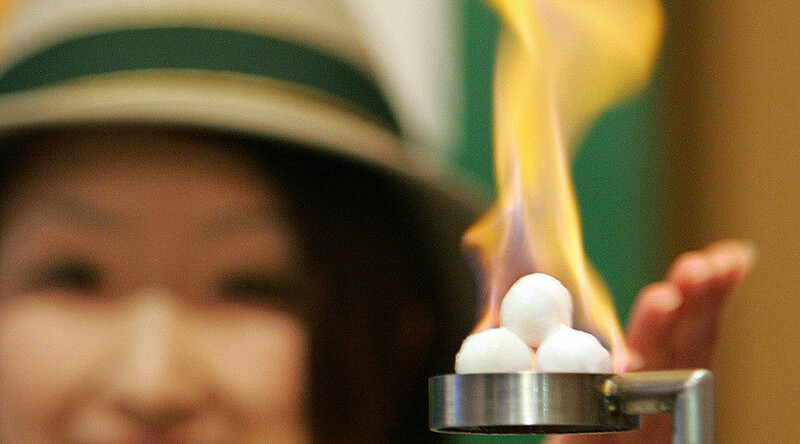 In spite of the low temperature, the hydrates are easily flammable, as the gas encased in the ice catches fire once you bring it to a flame. The discovery is China’s first success in the mining of flammable ice following almost twenty years of research and exploration, according to the ministry. 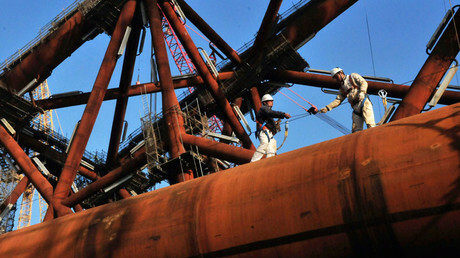 The mining site is reportedly located in the Shenhu area of the South China Sea, 300 kilometers from Hong Kong. The miners managed to extract a daily average of 16,000 cubic meters of gas with high purity from the site. The natural gas hydrate is believed to be the best replacement for natural gas and oil. Moreover, fire ice is more environmentally safe and in large reserves, according to the head of the China Geological Survey Bureau, Zhong Ziran. “Many countries along the Maritime Silk Road have a demand for combustible ice mining. With the advanced technology we could help resolve the energy resource problem and boost economic development and exchanges between countries,” said Qiu Haijun, director of the trial mining headquarters, as cited by The Economic Times.